Beautiful flowers, Mary! We've grown columbine in our flower beds here in NC but we don't have deer in the are. I'm not sure if they would eat them or not. Mine grew in a shady, protected area. Happy Monday! What a beautiful garden Mary. I don't have much experience with Columbine but I've seen some very cool dramatic blooms lately. Can't help with the deer question. 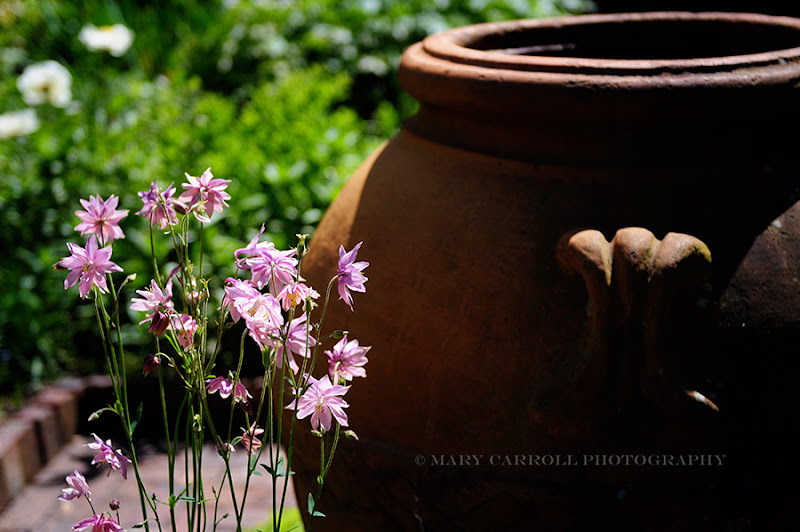 Beautiful garden, Mary, just beautiful. Enjoy your weekend! 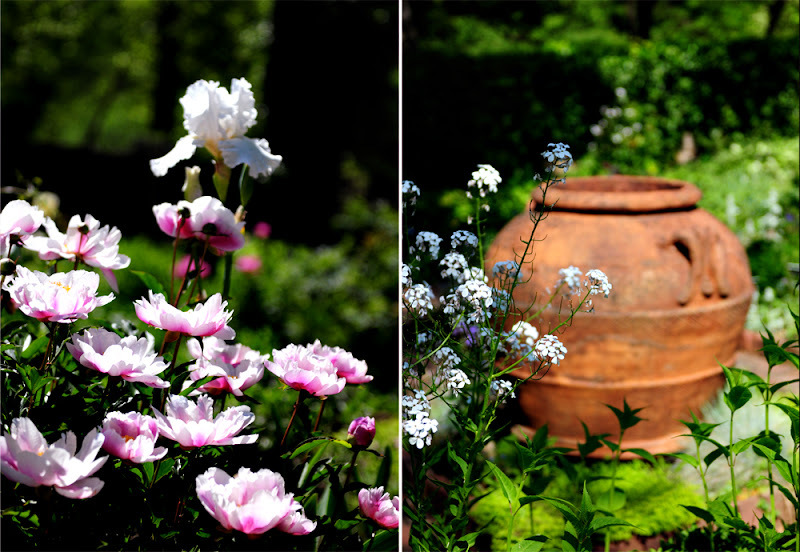 What a beautiful garden you visited, the flowers are gorgeous. Have a wonderful holiday weekend. 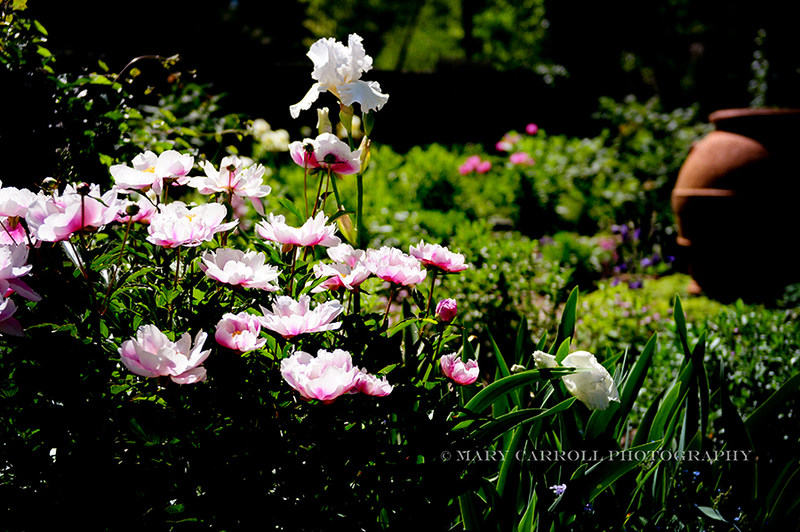 Your garden is just beautiful Mary. 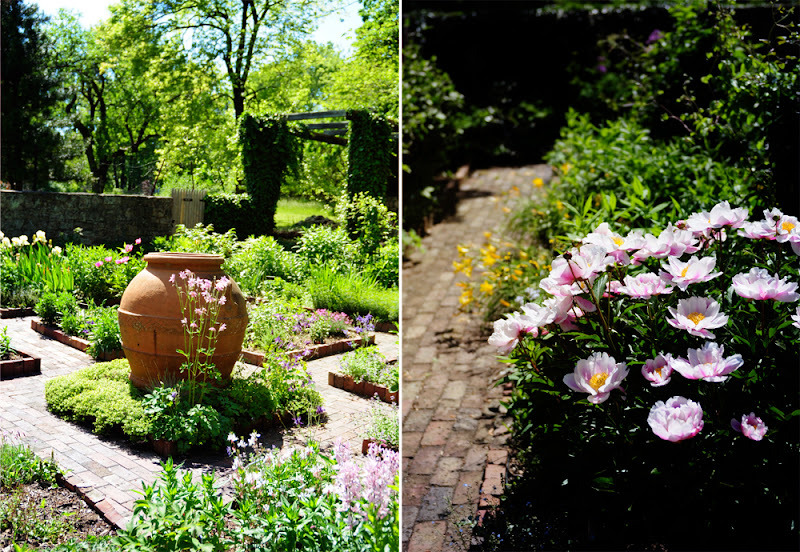 I love the fat terra cotta urn. Have a great week. Wow, as usual your pictures are just beautiful! Hi Mary, the gardens are just beautiful. I have had good luck with Columbine. Mine are out back where it is fenced in so the deer don't bother them. I do know that there are wild Columbine that grow in the canyon so I think you would be safe. However, I'm not positive. Glad to hear that your photograpy business is going so well. You definately have a gift. Gorgeous photos. I love columbines and the only thing that eat the leaves here are leaf miners. This year I've started growing a couple more varieties since the cultivars are short-lived. 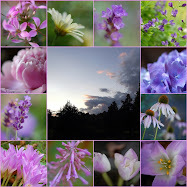 Such gorgeous colors in your mosaic photos, Mary! Happy Memorial Day! 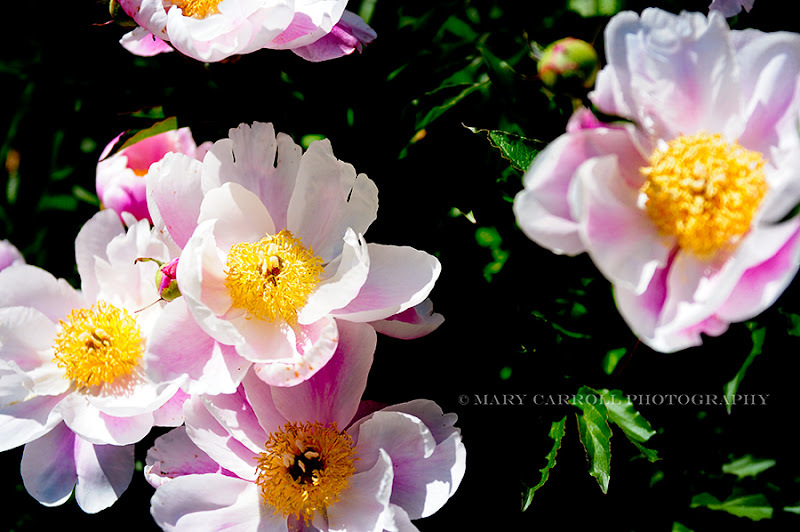 Love the images Mary! Those poppies and the pottery my favorite!Happy Memorial weekend to you! So pretty. I hope you are having a very happy Memorial day. What a great garden to visit. Irises, clematis, peonies all my favourite flowers. Lovely photos as usual and stunning mosaics. Eevery week I come here Mary and see the most beautiful photo's. So also today.Thank you for hosting this meme every week. So Pretty! I have been gone all weekend, so no time for a post to contribute, but did want to say Thanks for hosting again this week. You are appreciated. Have a great week. I love this place ! 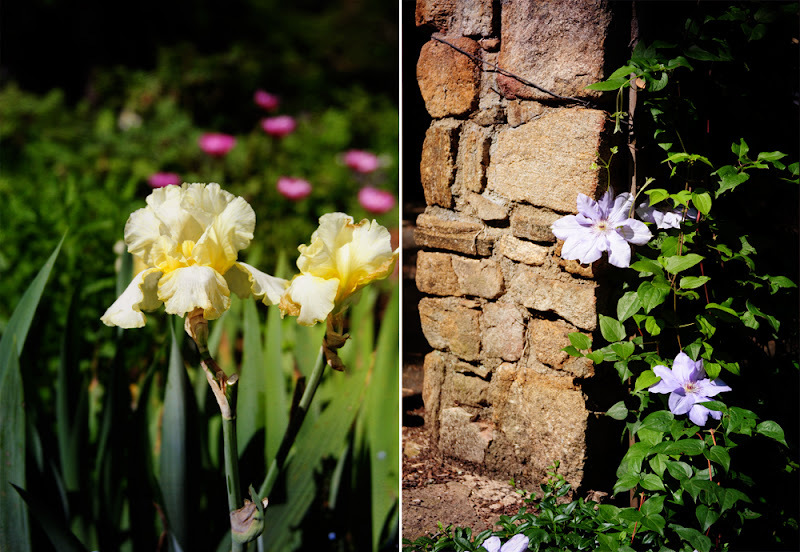 Stones, flowers, sun....Paradise ! Am late this week. Been away and then had blogger problems Monday. Thanks for being our hostess. I too love the stones and pots. I do hope your weekend was glorious...these photos certainly are! Such stunning pictures! It looks like a wonderful place to visit. Exquisite photos. Sorry about your family illness. I am so sorry to hear about your family's troubles. You are in my prayers. God bless.